In February of 2015, I decided to focus my knitting on a project involving A Treasury of Knitting Patterns by Barbara G. Walker. It was first published by Charles Scribner’s Sons in 1968, and is still in print today. I started with a sampler hat covering 10 basic knitting stitches, one per band. From the bottom it covers garter stitch, stockinette stitch (three variations-plain, twisted and crossed), seed stitch, moss stitch, double seed stitch, dot stitch, sand stitch and knit 1 purl 1 ribbing. Since then, I have been working my way through the book, using the stitches in different projects, mostly hats. 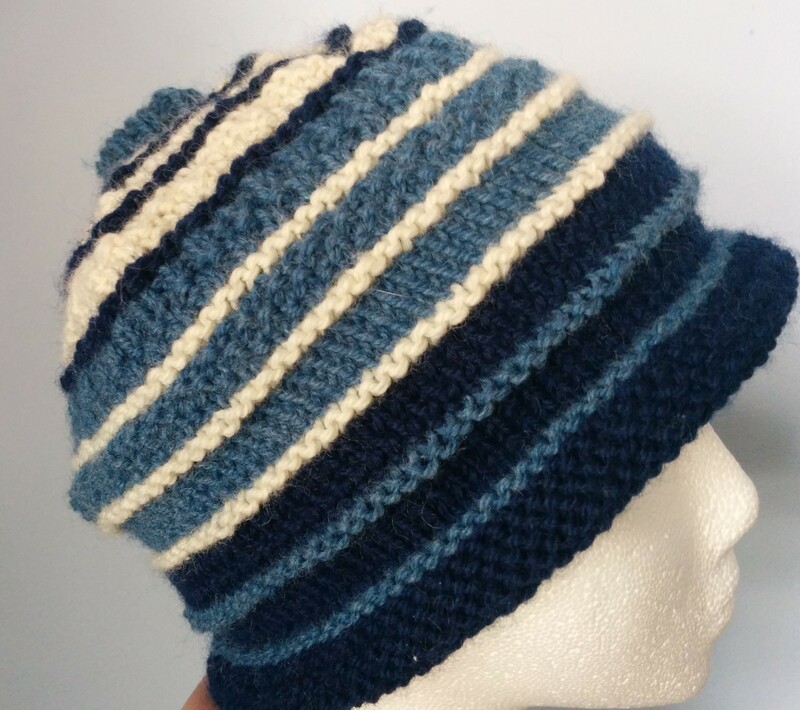 I design the hats on the needles, adjusting things as I go. Any blog post that has Barbara in the title is showing a project using stitches from the book. The basic rules that I have been following are simple. I can use the next stitch or stitches in any chapter or combination of chapters. For design integrity, I have very occasionally skipped ahead a couple of stitches to find one that is right for a difficult design dilemma. I have then always gone back and used any stitches in between before advancing in the chapter. There are 544 stitches listed in the table of contents. After one year, I had used 203 of the stitches. In February 2017, after two years, I had used 318 stitches. Here is a pile of projects designed with stitches from the book. I am hoping to complete the project by the 50th anniversary of the book in 2018.